Cederick was 24-years old when he was diagnosed with HIV. He was feeling weird while visiting a friend in Florida. He wasn’t eating well and thought it was due to the heat. Then, one night, he felt like his “brain was on fire” and drove himself to the ER. The doctors thought it was lymphoma. “And I was like, “Oh! Thank God, it’s not HIV,” Cederick recalls. The doctors did some more testing and sent him back home to Cleveland. In Cleveland, they continued testing of his lymph nodes and did additional blood work. They told him it wasn’t lymphoma. That was two years ago. The diagnosis still feels new, and Cederick continues working to find ways to deal with it. At first, he was really upset. On top of the diagnosis, he lost his job and had lots going on in his life. “I broke down. I kind of thought everything was over,” he says. Cederick believed he knew everything about HIV, but when he went to visit his specialist, he got more information. “The first question I had was ‘how long do I got?’ I felt I had a timeline on life and had an ETA,” he says. He didn’t know anyone with HIV and didn’t know who to talk to about it. His specialist gave him more information on what was happening to his body and the many things he can do to stay well and enjoy a long and healthy life. His physician also introduced him to Positive Peers, and he found himself reading all the articles on the app. Cederick still had trouble asking for advice and wanted to prove he could deal with his diagnosis alone. “It was my coming out moment,” he says. It was a “double whammy” as he also had to tell them about his HIV diagnosis. They were along the journey with him. They were both supportive and educated. Taking medication was a whole new challenge, too. Cederick never took a pill until his diagnosis. He was scared of pills. Now he had to take Triumeq, and it is one of the larger HIV single dose pills. Cederick is all about setting goals and competing with himself. With the app, he enjoys using the calendar, reading the blogs, and connecting to his support group. Cederick likes all the reminders and different trackers. He’s reached many goals he set for himself. His biggest challenge at first was staying on top of the medication. He used the medication reminder, set timers and worked to beat the timer every single day. Cederick created a new habit with this routine. “So then I was like, okay, I know six months is the U=U (undetectable equal untransmittable), so let me get to six months,” Cederick says. He started his medication in the summer, and by October he was undetectable. Once he got to six months, he knew he wanted to make it a year. 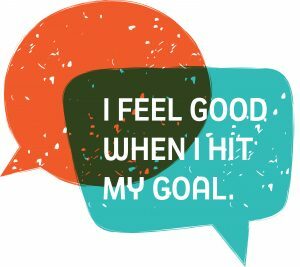 “I feel good when I hit my goal because I have to come up with a new goal. I have created a good habit for myself,” Cederick says. Cederick is helping others learn more about HIV and their diagnosis. He recently went to a class at Case Western Reserve University where he spoke to the students and educated them about HIV. Speaking has given Cederick more roles in the community. He wants to help, so others don’t have to feel like he did when he found out his diagnosis. And he doesn’t want anyone to feel like he felt or to experience what he did. He says speaking to the community feels like a stage performance. “It dissolved part of my anxiety,” he says. It also opened up a different part of him. Cederick never usually asks for help. This opportunity has given him the chance to open up to people. Most people receive these public talks very well. Sometimes there are negative moments, especially when he shares information about his status on social media. At one point, people were sending him messages telling him he was spreading HIV to everyone. He knew this backlash was coming. The other part of him thought that maybe these people might be acting out because they were experiencing some of the same struggles he was experiencing. So, he responded. “One said, ‘I have HIV, I didn’t mean to come at you like that. I just wanted to get information,’ and I was like, ‘Well you did it wrong, so let’s make it right. We’ll talk about it,” he says. That one interaction made him worry less about the negative backlash. “People need people. People need to show empathy, to be able to listen and give advice. To give the word on the experience, they’re experiencing.” Cederick says. It hasn’t always been easy for Cederick along this journey. When he was out on social media, he often questioned how open and vulnerable he was to the public. At one point, he took a break and stepped back from everything. He didn’t go to meetings. Cederick took the app off his phone. He stopped speaking to the public. “I don’t think that was good for me,” he says. But just like the goals he sets, Cederick knows he has to start over if he misses a day, a week, or even a month. He re-downloaded the app and got back into the scene. And he goes to the gym. He even started dating. Cederick learns to talk openly about his HIV status with his partners. He gives out the right information. He’s confident with himself when talking with anyone. Now, he wants to start a foundation helping others, no matter the illness. He encourages others to never put a personal cap on growth. Cederick has learned so much from his diagnosis. And, he’s still growing. 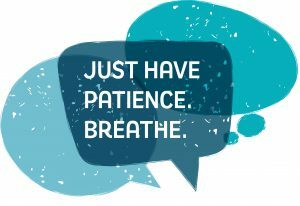 He wants people to remember that it’s okay to sit with your feelings about your HIV diagnosis but learn to move forward. “Just have patience. Be present in the situation, and just breathe,” Cederick says.